Ages of Wonder builds on the moment in 1910 when the Royal Scottish Academy transferred a number of significant works to the National Collection, securing exhibiting rights within the building shared by the two institutions today. The Academy had been a force behind the establishment of a national collection and NGS and RSA had previously coexisted in what is now the National Gallery of Scotland. Ages of Wonder reunites RSA works transferred to NGS with a selection of those remaining in the Academy’s Nationally Significant Collection and those collected by the Academy up to the present day. The exhibition will include over 450 works by over 270 artists and architects, from the masterpiece ‘The Adoration of the Magi’ painted by Jacopo Bassano of 1540, to recent Diploma Works by Callum Innes and Alison Watt, and works commissioned for and during the exhibition by Calum Colvin, Kenny Hunter and Richard Murphy. 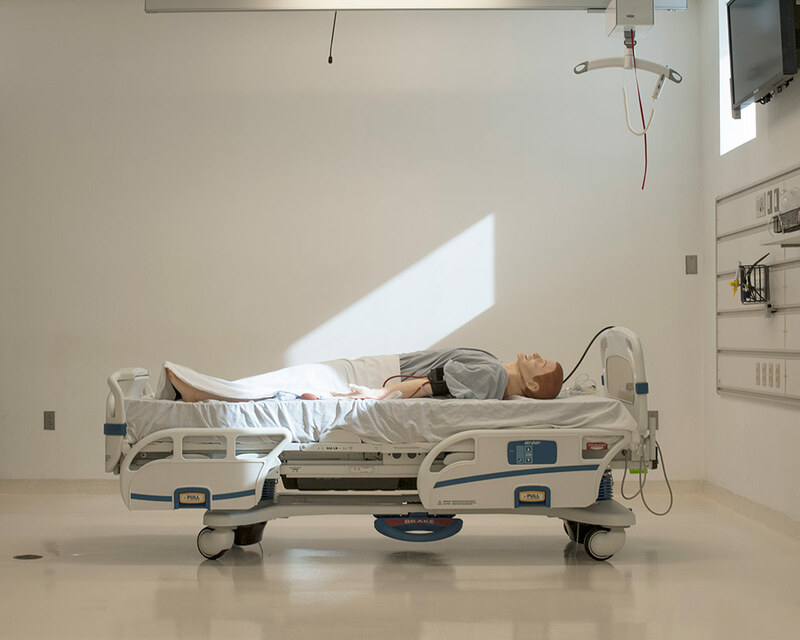 Sim Man, NYSim, Bellevue Hospital, Manhattan, New York, 2014, © Alicia Bruce. Supported by Royal Scottish Academy Morton Award 2014.